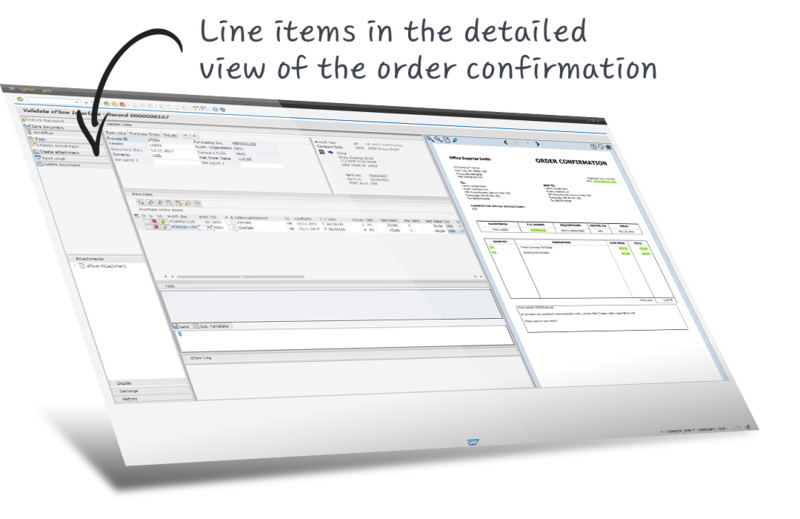 xFlow Order Confirmation is an intelligent solution for processing incoming order confirmations for companies generating sales orders in the module MM (Materials Management) in SAP and sending them to vendors. More often than not, it is essential for a company that a vendor delivers as ordered. This applies not only to manufacturers, but to others as well. If an item in an order has not been delivered in the quantity requested, to the correct location at the required point in time, serious complications such as stoppage of a production line may occur. 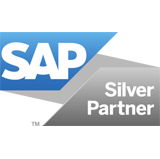 That is why it is important for companies to know whether a vendor has fulfilled and confirmed an order with precision. 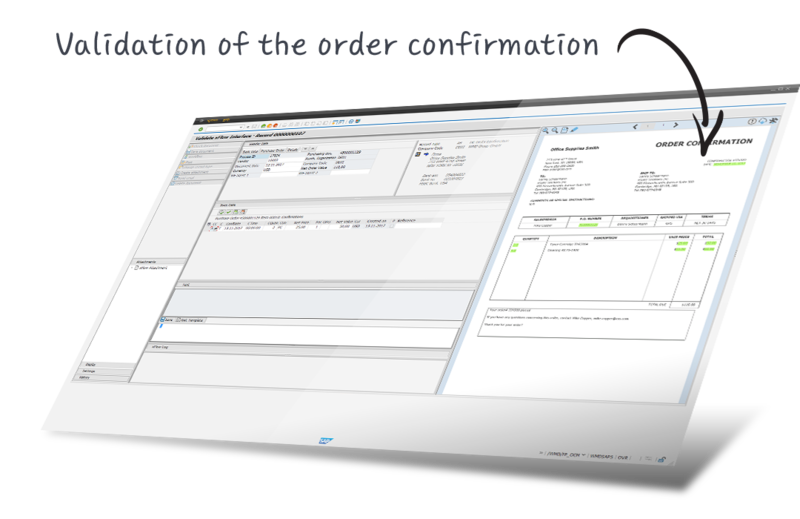 As a solution that is both web-enabled and fully integrated in SAP, xFlow Order Confirmation supports employees by automatically checking the order confirmation against the SAP purchase order. The process begins with the automatic capture of the incoming order confirmations. These confirmations are routed from all available input channels into the OCR and data extraction process. A highly complex ruleset analyzes all contents of the record in freeform format and performs a detailed validity check. This includes details such as the correct calculation of the specifications in the document. 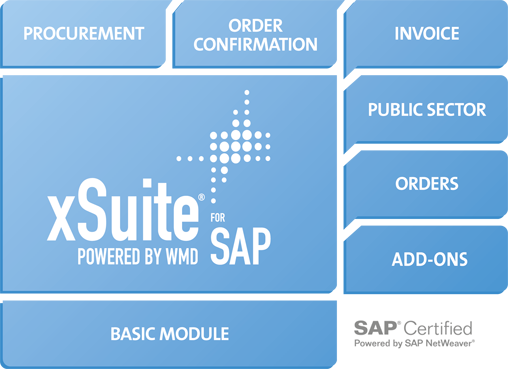 The ruleset also checks the OCR results against available SAP data, e.g., a check of the purchase-order number against the SAP purchase orders.